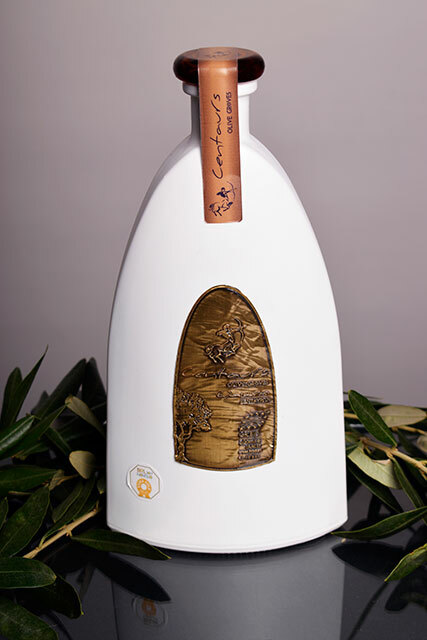 The organic extra virgin olive oil from their groves Centaurs derived from three varieties: koroneiki, wild olive and Olympia. Its acidity is negligible and has organoleptic properties, fruity aroma and spicy flavor as the fruit is harvested when it is still almost green, from where comes the characteristic green color. Our oil is rich in antioxidants, phenols and vitamin E. It also has a high content in oleocanthal and elaiasini two polyphenols with strong antioxidant and anti-inflammatory effects, which cause the sensation of transient burning throat, spicy taste and transient bitterness in the olive oil try. The product is available for export.